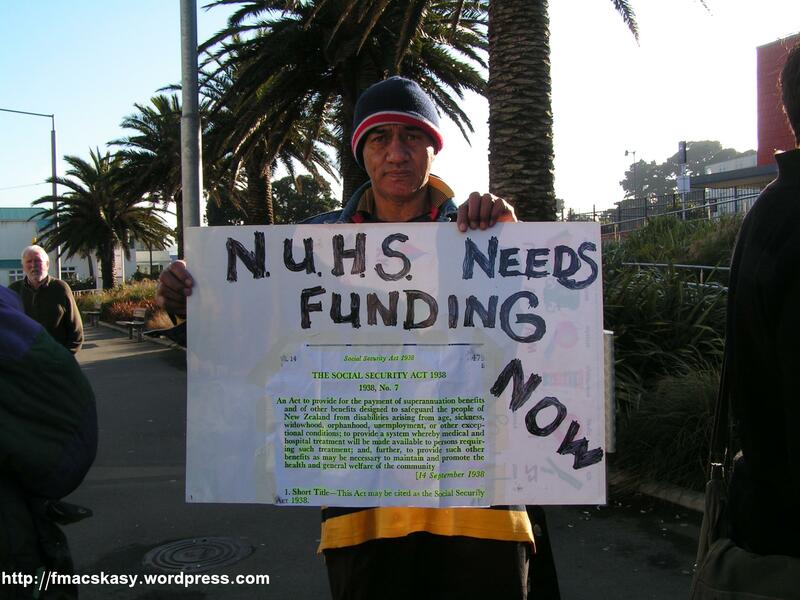 In a repeat of health cuts in the late 1990s, National’s latest round of health cuts are starting to bite, and communities are fighting back. Well, we know how such assurances from National usually turn out. Quite badly for us, unfortunately. As is always the case, National’s “reforms” (aka, budget cuts) impact on low-income families and individuals first – and eventually creep up the socio-economic ladder to affect the middle classes. That is when we’ll see some real screaming from the public. 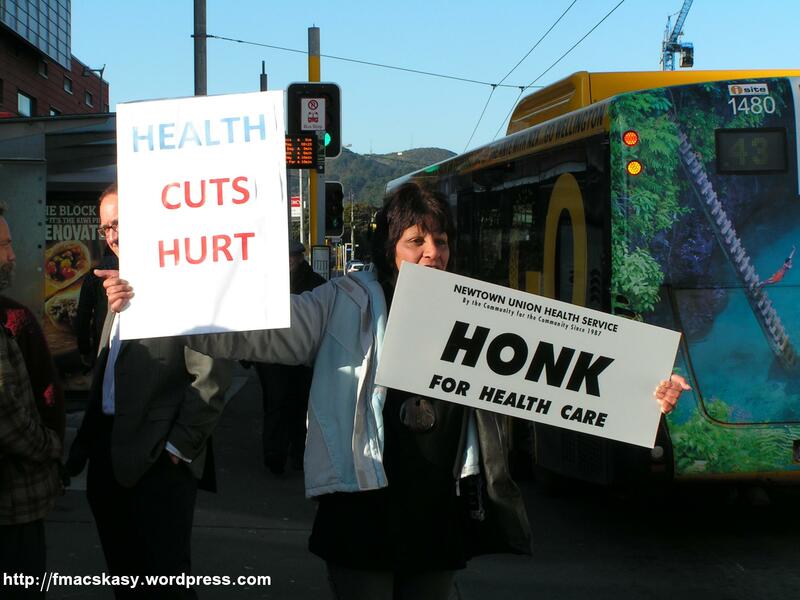 The cuts to Vote: Health have already started to affect our communities. As District Health Boards are allocated either less money, or insufficient money to make up for inflation, local health initiatives begin to suffer. 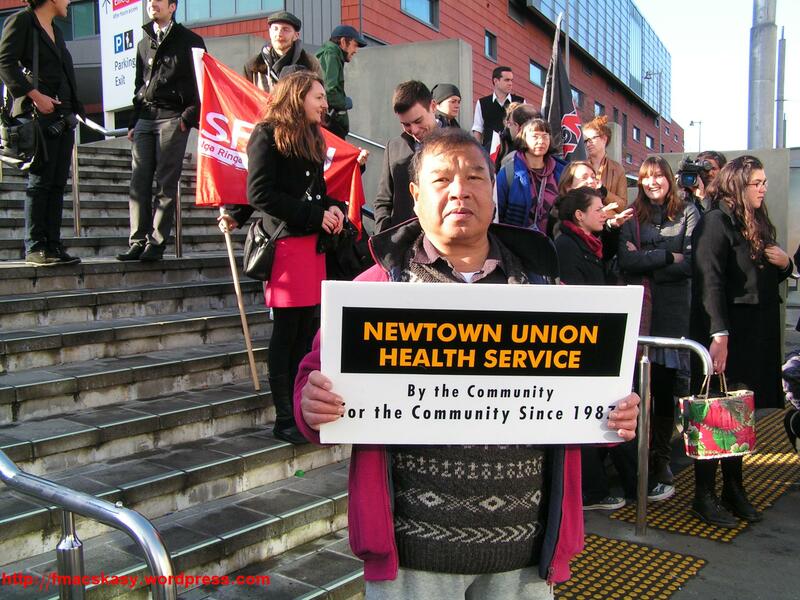 “ Coordinator Debbie Leyland says Newtown Union Health Service, which works with some of the most vulnerable people in the region, will lose $274,000 this year and expects to face more significant cuts in the year ahead. 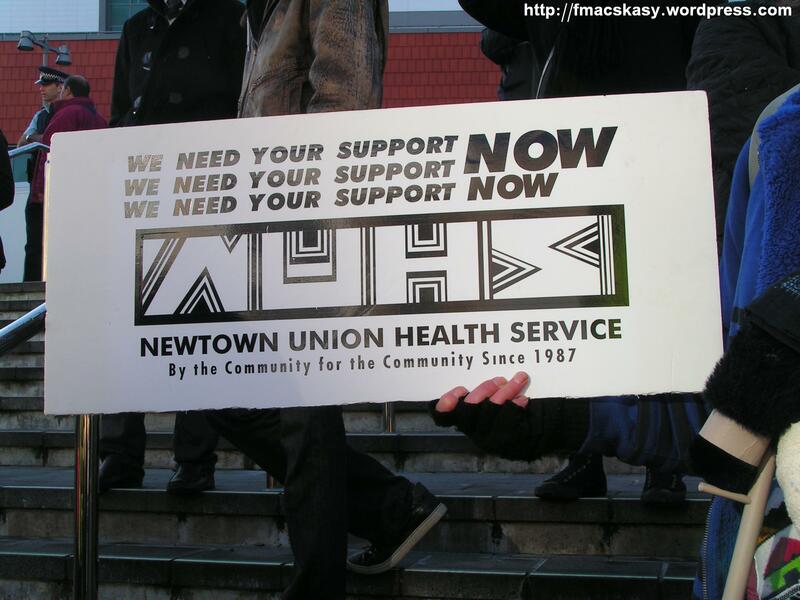 Since the Newtown Union Health Service serves mostly low-income/fixed income families and individuals, these cuts to to the NUHS’s budget will go mostly unnoticed by the middle class. But these cuts will mimpact on those at the bottom of the socio-economic ‘pile’. 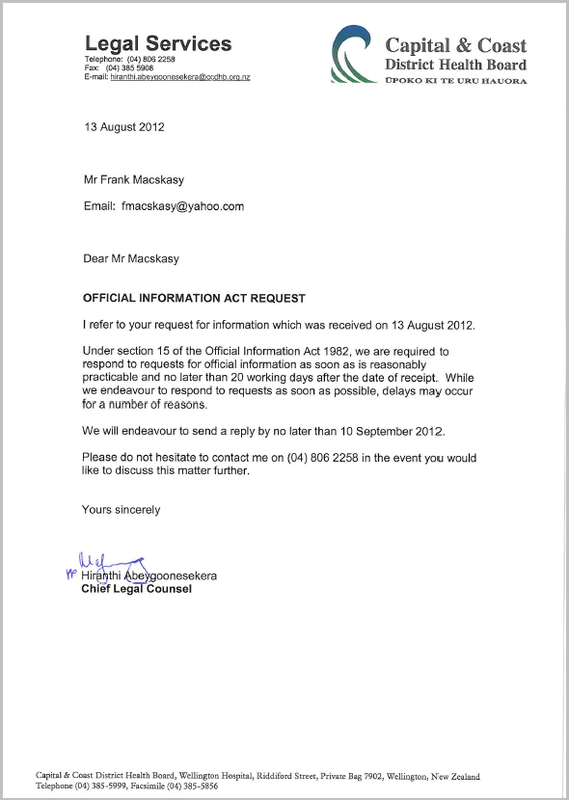 It is hardly surprising that Health Minister, Tony Ryall, refuses to meet with Ms Leyland. That would be… embarressing. 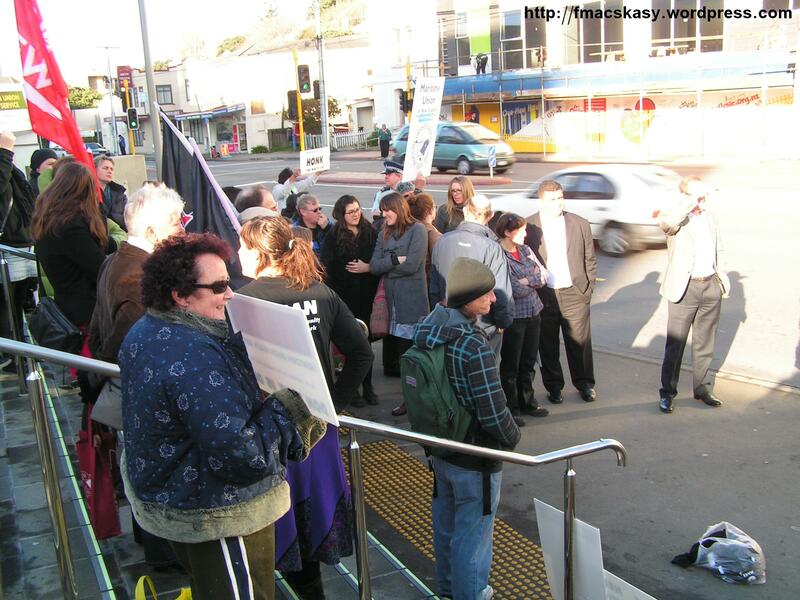 To show the community’s displeasure at cuts to their health service, a newly formed group, the United Community Action Newtown (UCAN) organised a public display of opposition, as well as meeting with the District Health Board at one of their many meetings. 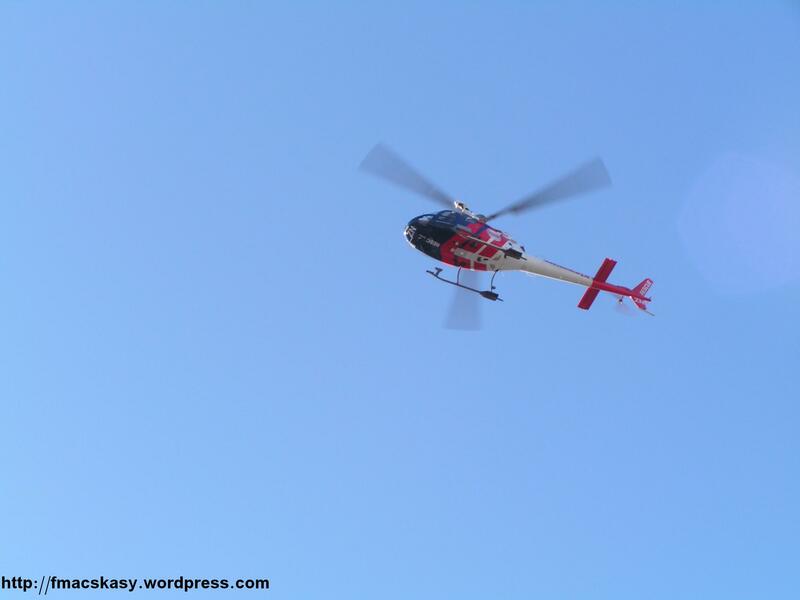 As the picket progressed, the Westpac Emergency helicopter took of from it’s landing-pad atop one of the Hospital buildings. 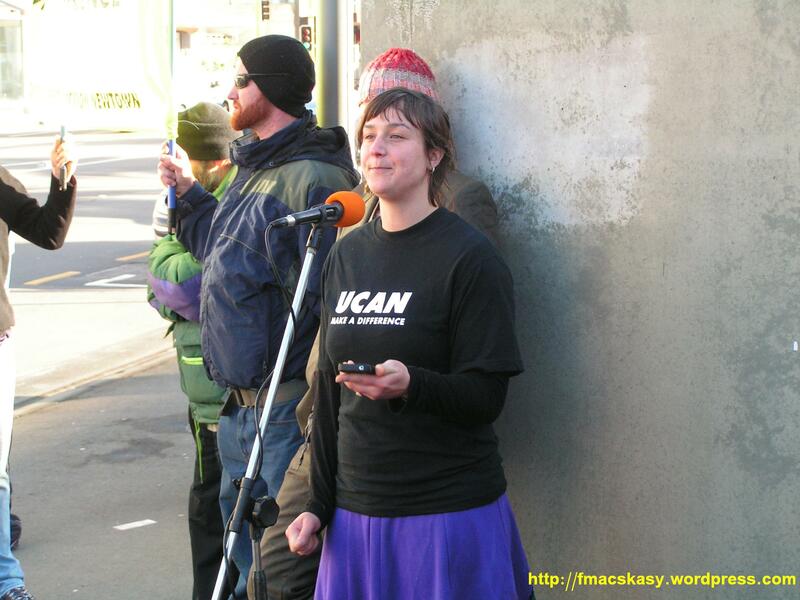 UCAN organisor, Katie, addressing the crowd. 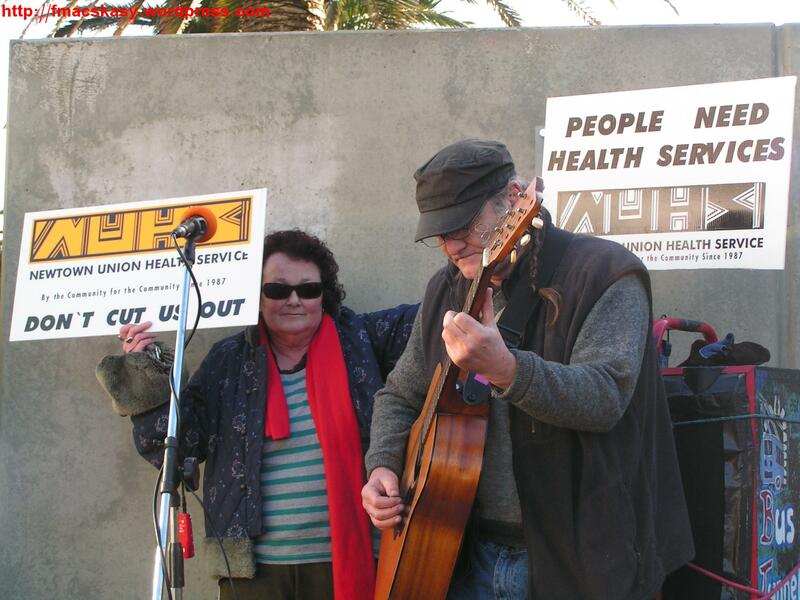 She thanked Ken, the musician; the Maritime Union for their support; and the people who turned out to support the campaign to ratain full funding for community health services. Hi Katie, what do you hope to get out of this? Where do you see the health service going if they keep cutting and cutting? ” Outreach clinics, asthma education, midwifery, and sexual health services are likely to go if the funding cut is finalised. For many people, especially immigrants, an Outreach Clinic that comes to their council flats is their only contact with health services. This is notr about “laziness”, it’s about society being proactive before a medical condition worsens to a degree that requires more expensive intervention. 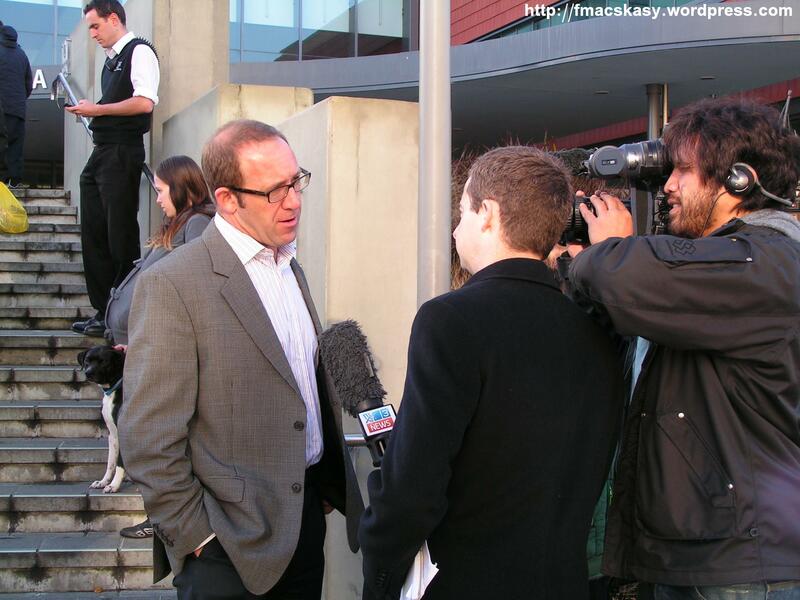 ” Dr Ben Gray, a senior lecturer in Primary Health Care and General Practice at the University of Otago Wellington and former NUHS doctor, told the board in his submission the funding cut does not make sense to him because research clearly shows primary care is much more cost effective at improving health status than secondary care. Attending to an outbreak of disease at the start is more financially sensible than waiting for infection to spread, thereby compounding the problem. It is also the right thing to do in any fair-minded society . 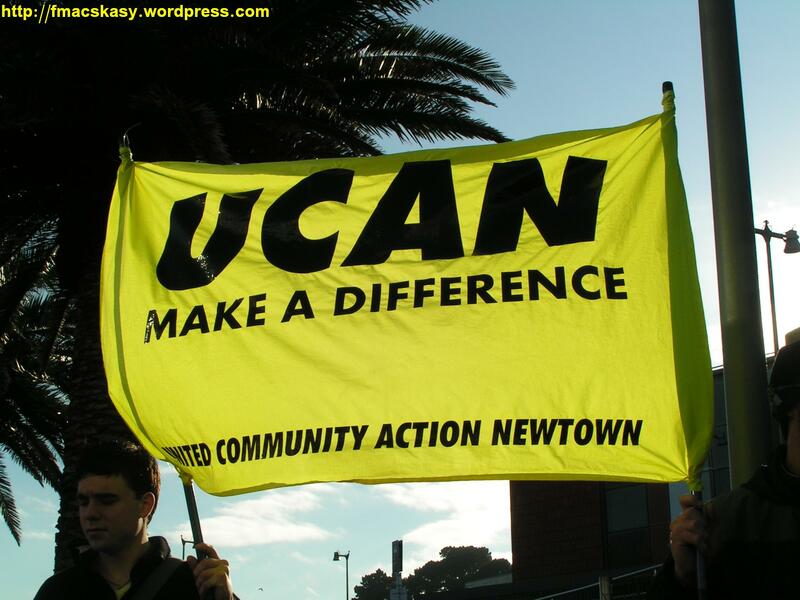 “ UCAN Coordinator Debbie Leyland says Newtown Union Health Service, which works with some of the most vulnerable people in the region, will lose $274,000 this year and expects to face more significant cuts in the year ahead. This is fairly basic, common-sense, stuff. The only reason that a National health-minister would disregard basic common sense and long-term health outcomes is for short-term accounting purposes. After two tax cuts and various subsidies for businesses, National finds itself with a massive budget deficit. Unfortunately, we are the ones who end up paying for National’s mistakes. Two representatives from the Service & Food Workers Union. Cuts to healthcare don’t just impact on the services that the community can access – but also to jobs and workers’ pay and conditions. Budget cuts affect every aspect of society and the economy. Unions aren’t just advocating on behalf of their members – they are looking out for society as a whole. 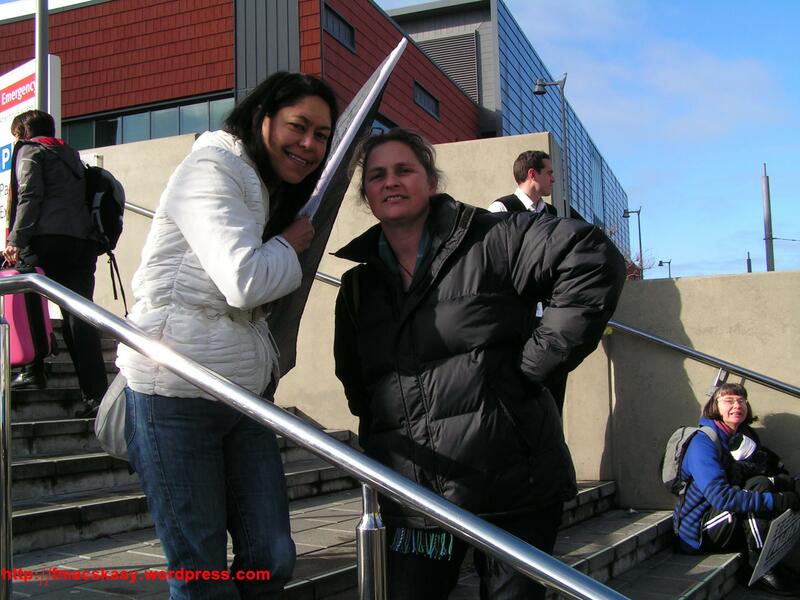 “We went to see the members of the district health board, Mary Bonner, and the other members. 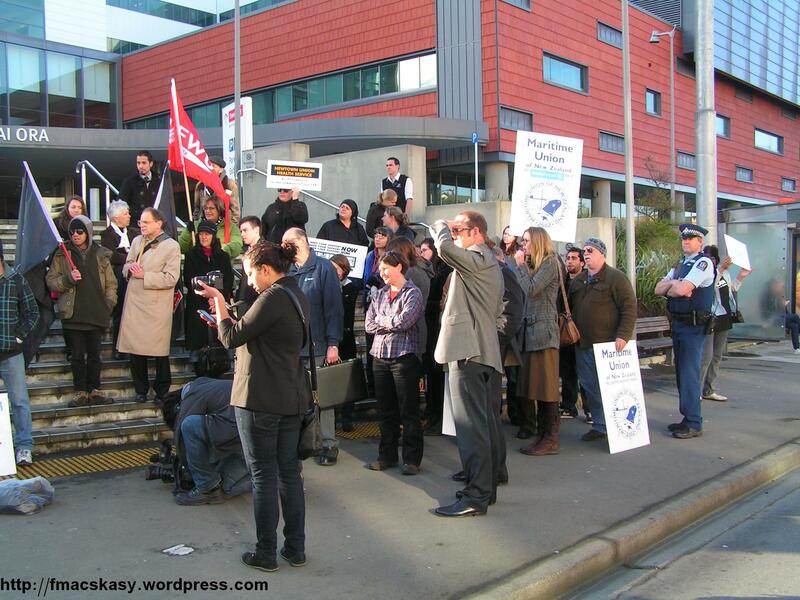 We went to discuss the cuts in the Union health service funding which is over a quarter of a million dollars. I presented them with a game of ‘Jenga’ which I explained is our model of Newtown Union health. 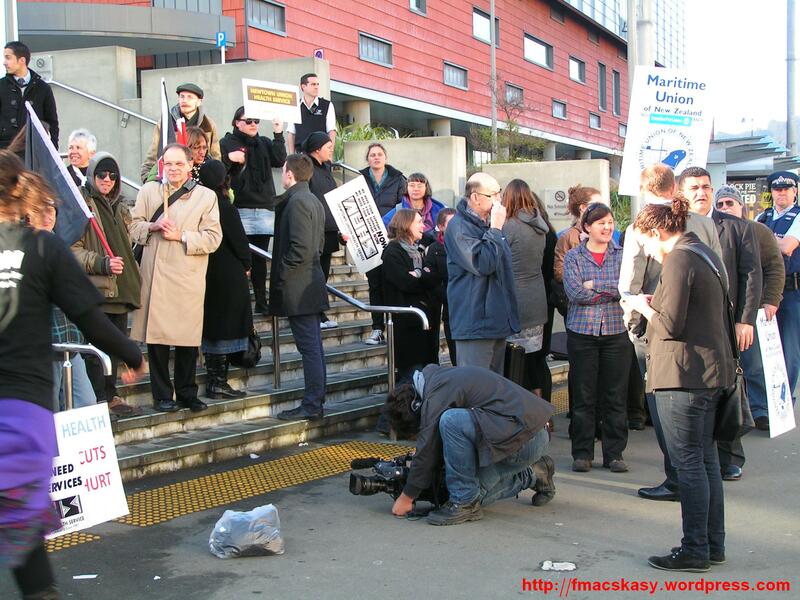 Because if you start taking blocks away , Newtown Union [Health Service] will fall. We asked them to respond with their plan of health cuts and how they’re going to cope. Where are the people that are going to be affected by these health cuts going to go? They said to me that they’d take on board what we’ve said and they will have a robust discussion behind their closed doors in that part of the meeting. 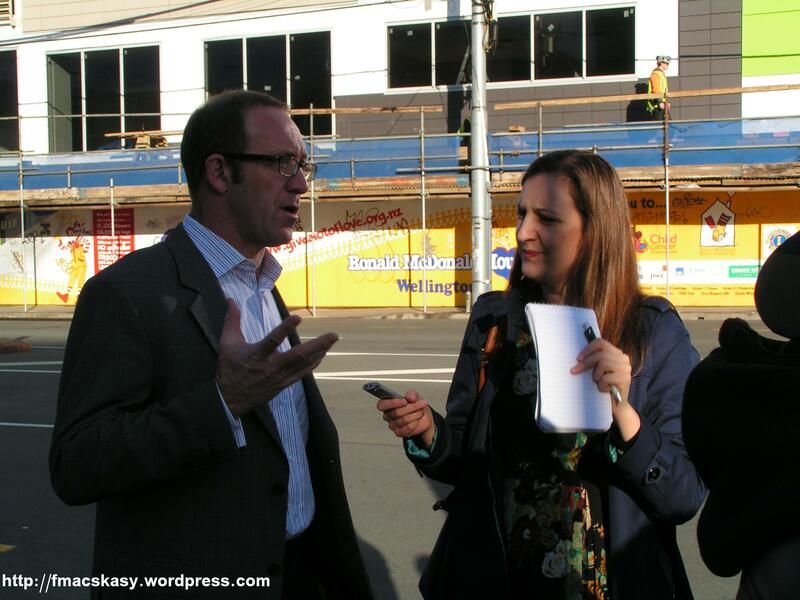 I asked Debbie Leyland if the CCDHB gave any indication why they were cutting the budget? 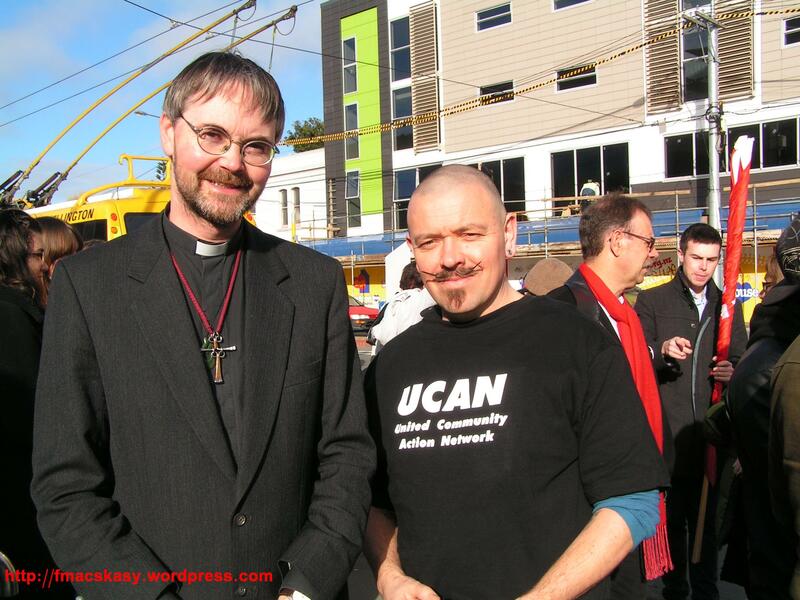 “Because Tony Ryall has ordered $129 million [cut] out of the Health budget. A lot of that is to come out of primary healthcare. There’s $40 million this year coming out, $40 million next year. With these healthcuts the government has promised not to cut front line services, but it almost seems inevitable that they will be, I suggested. “The funding’s already been cut. They’re not renewing contracts like the diabetes contracts; midwives; Strathmore mobile clinic, is probably going to go. They are cutting it. They said that this was a one-off cut last year, and here they are back again for another cut. 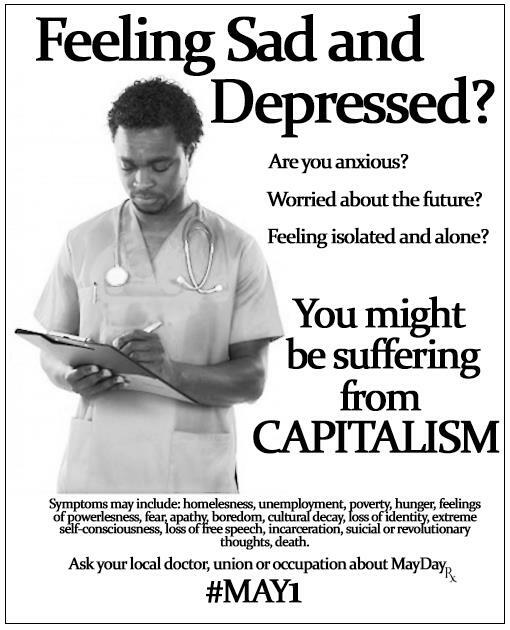 This almost seems like a re-run of the 1990s health cuts? Rev. Richard Noble, one of the group of a dozen people, making a representation to the CCDHB opposing damaging cuts to community healthcare. 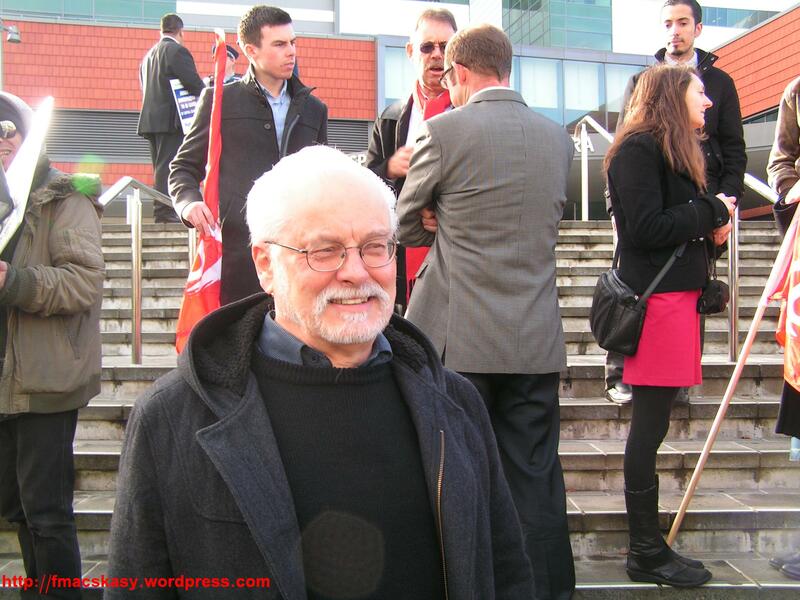 He was joined by Dr Ben Gray and Prof Don Matheson. 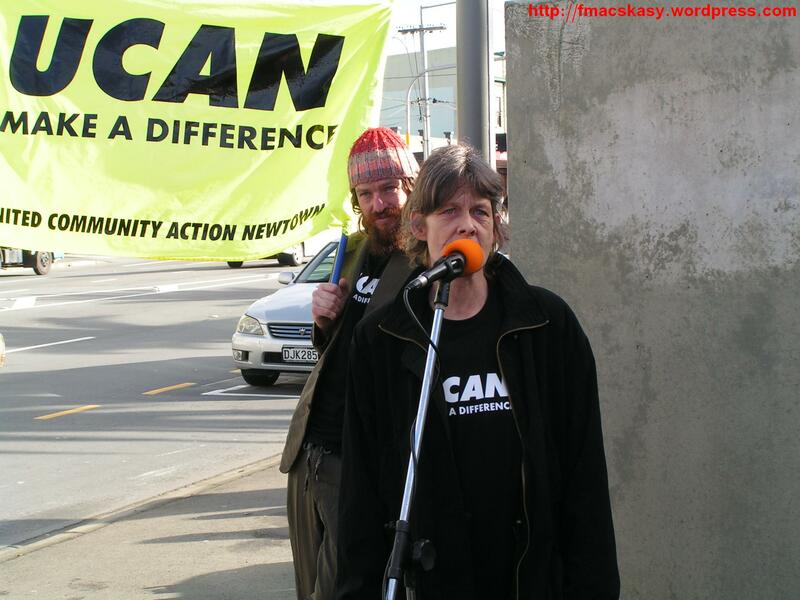 This blogger also had an opportunity to discuss the issue with Linda Hobman, UCAN chairperson and a member of the Wellington City Council Accessibility Advisory Committee. 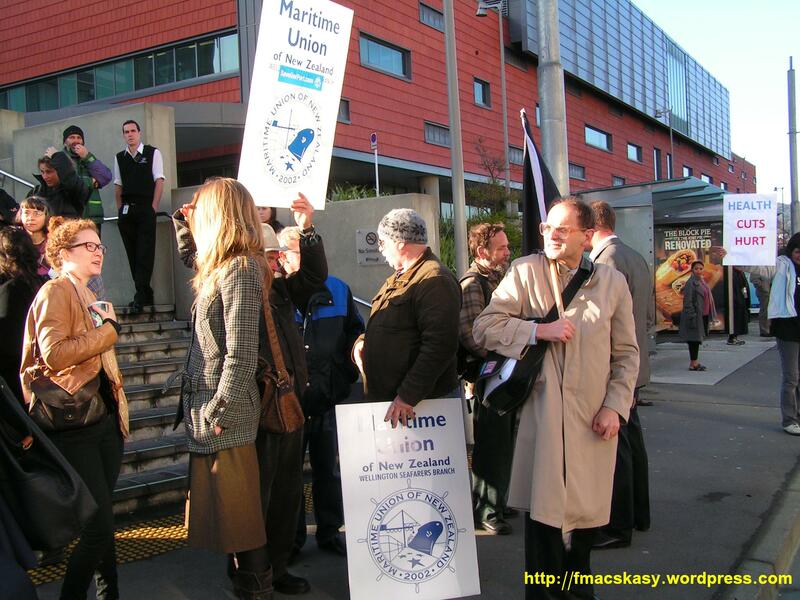 I started by asking Ms Hobman what happened when she appeared before the CCDHB. “We just really emphasised the point that we’re dealing with a lot people enrolled at the Newtown [Union Service] that have high and complex needs. We have a high proportion of refugees. We have a high proportion of mental health consumers. I suggested to Ms Hobman that if patients were going to receive more secondary [hospital in-patient] care, that this would impact on the hospital itself. “Yes absolutely. But they didn’t respond, they just listened. Ms Hobman then stated she would be returning to the Board meeting whilst it was still in open public-mode. 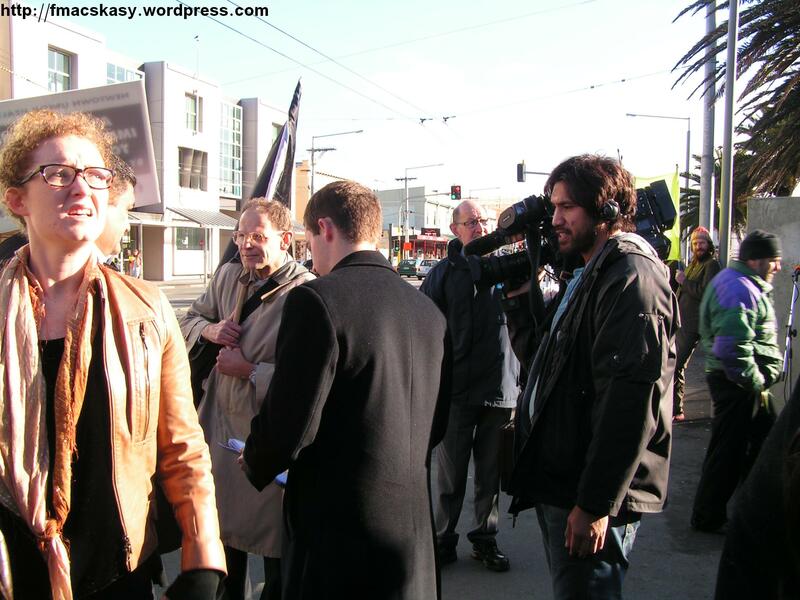 The protest picket disbanded peacefully, and without incident, a short time later. This blogger will keep you posted on this issue. Frank are you aware that STAFF yeah STAFF are now charged for parking @ Palmerston North Hospital.. NY Neuro Dr gets called in after hours and is charged….. 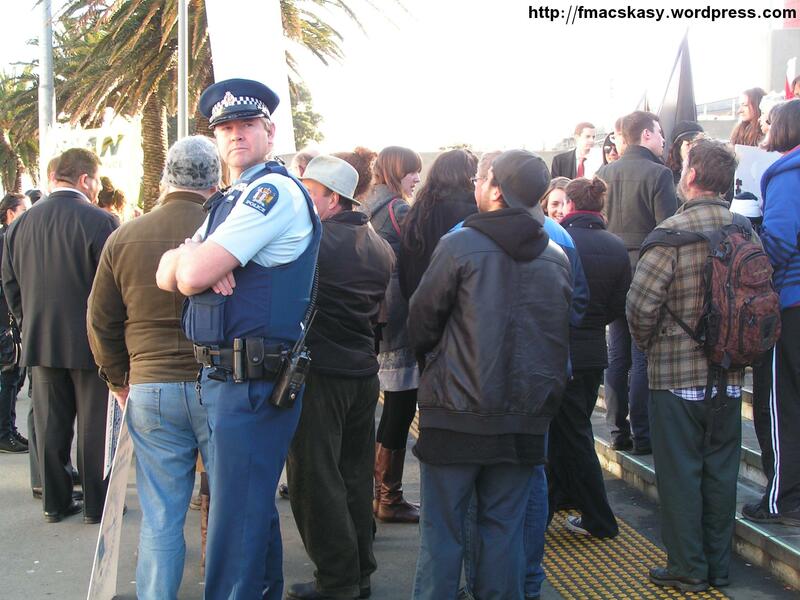 They have **employed ** these goons to police the carparks……. Stoner – No, I wasn’t aware. That seems to be an incredible cheek – as well as sign of desperation on the part of the DHB. I can only imagine how many staff must be eying up Australia. When they have to pick the pockets of their own staff, this country really is dragging the bottom of the barrel. Exactly. Primary care is where we need to be putting the funding as any improvements in that area will have a direct, beneficial flow on to usage rates of secondary care. The problem here is that the pharmaceutical and health technology companies are disproportionately invested into secondary care. They have little desire to see improvements in primary care as these will impact on profits.